In 1975 Volvo acquired a majority share holding in the car side of Daf and 340 production went ahead. 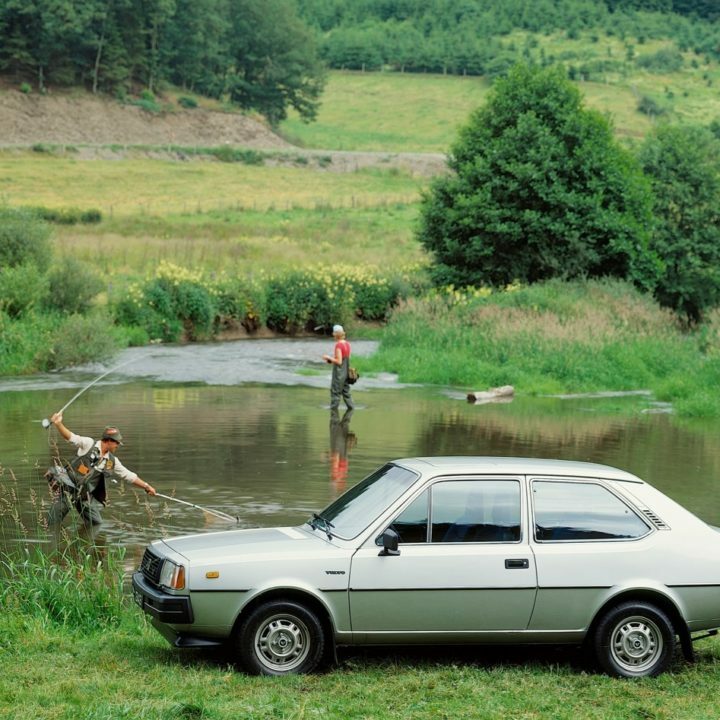 The first models still had the revolutionary Daf rear mounted 'rubber band' stepless automatic transmission driving the rear wheels and it had become a 3/5 door hatchback. 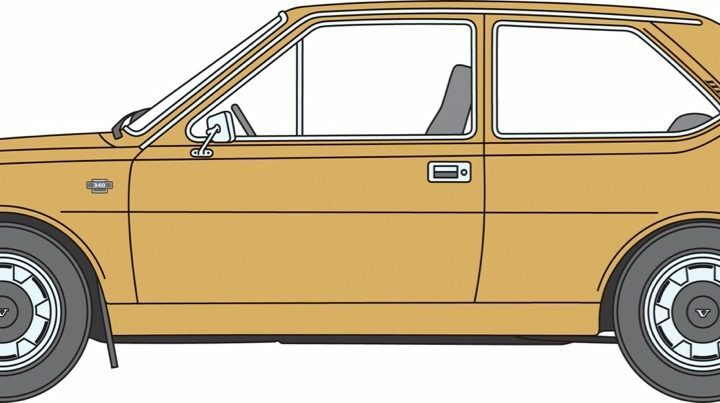 The first Volvo 340 design sketches were produced in 1970 at the Daf works in Holland and it was designated the P900. 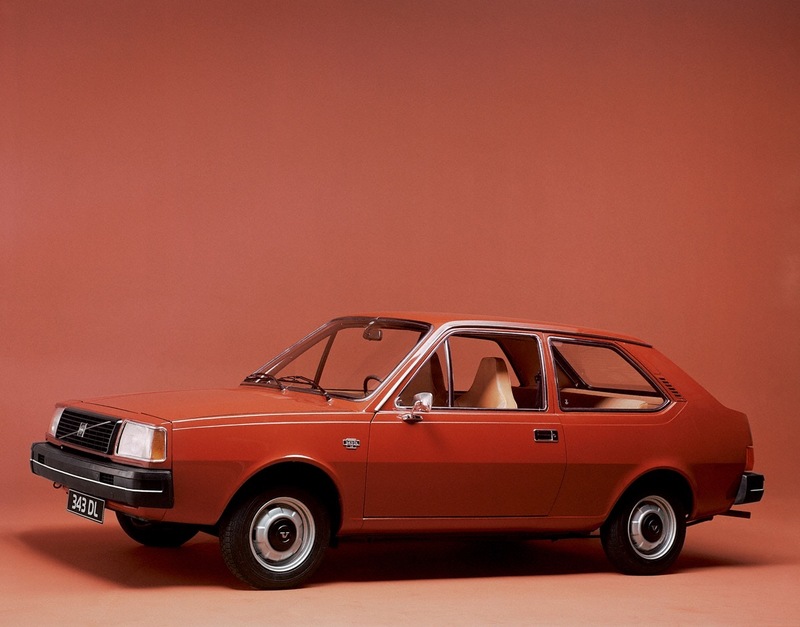 It was to be a 2 door saloon with coupe and estate variants powered by a 1.1 or 1.3 litre engine. 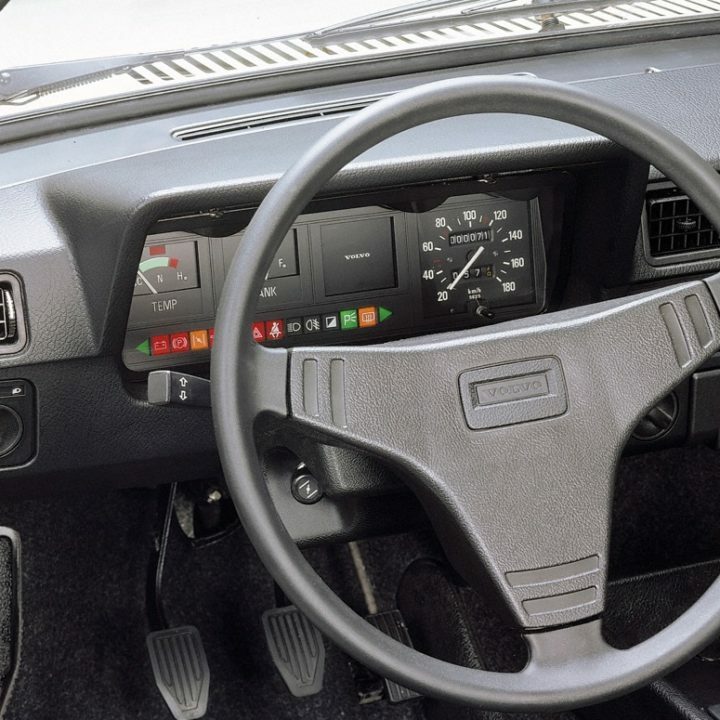 At that time the owners of Daf were looking for a partner to help with production costs so had talks with Volvo, VW, Ford, Peugeot, Nissan, GM (Antwerp) and BMW. Volvo expressed great interest but knew that the US market was out of reach because of safety and emissions regulations. They were also unable to finance the project at that time. Volvo 343 GlIn September 1972 Volvo renewed its interest in Daf and in January 1973 took a 1/3rd share in van Doorne Automobiel Fabriek (note the initials). 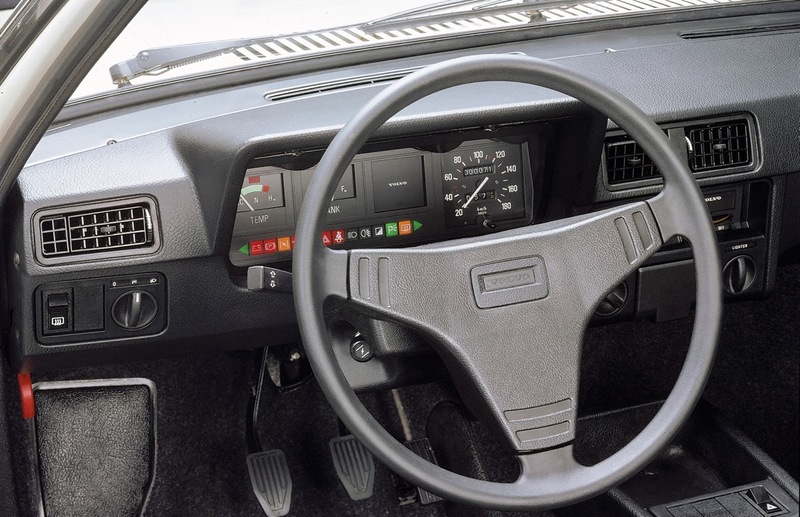 Over the next three years there was much controversy about the style of the car, engine size and transmission but in 1975 Volvo acquired a majority share holding in the car side of Daf and production went ahead. 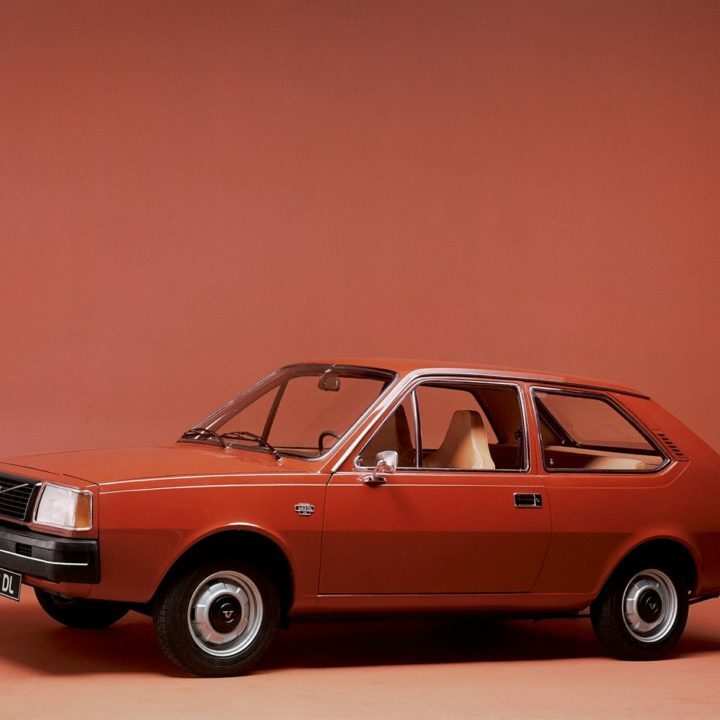 The first models still had the revolutionary Daf rear mounted ‘rubber band’ stepless automatic transmission driving the rear wheels and it had become a 3/5 door hatchback. 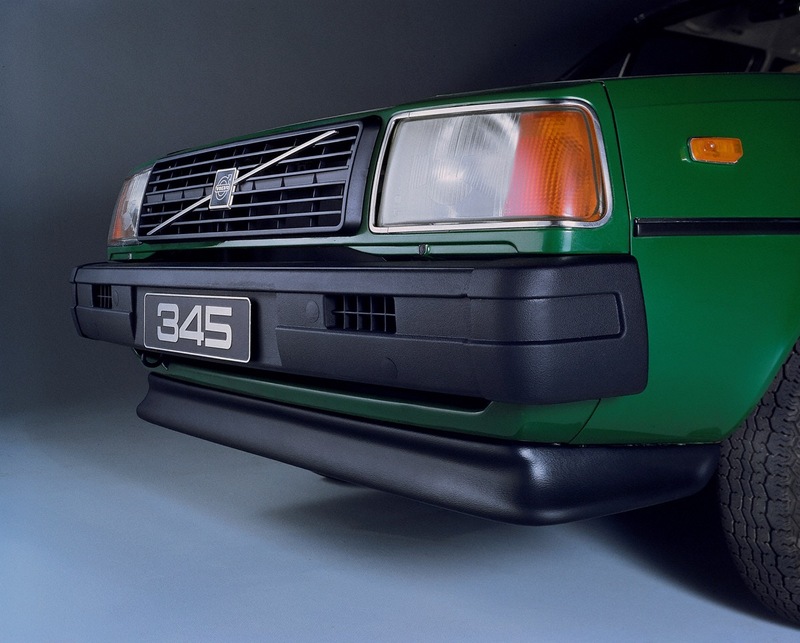 As with all Volvos important improvements were made mainly related to safety (bumpers, safety-belts, windscreen, etc). Initial sales were not expected to be great and they weren’t. 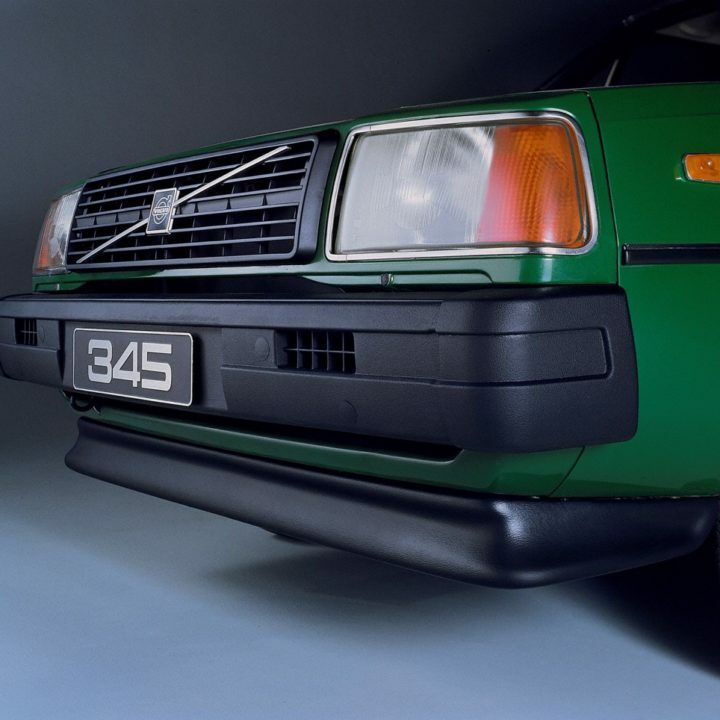 Eventually Volvo made the vehicle appeal to more people by adding a manual gearbox, still mounted at the rear, more trim options and more door options. 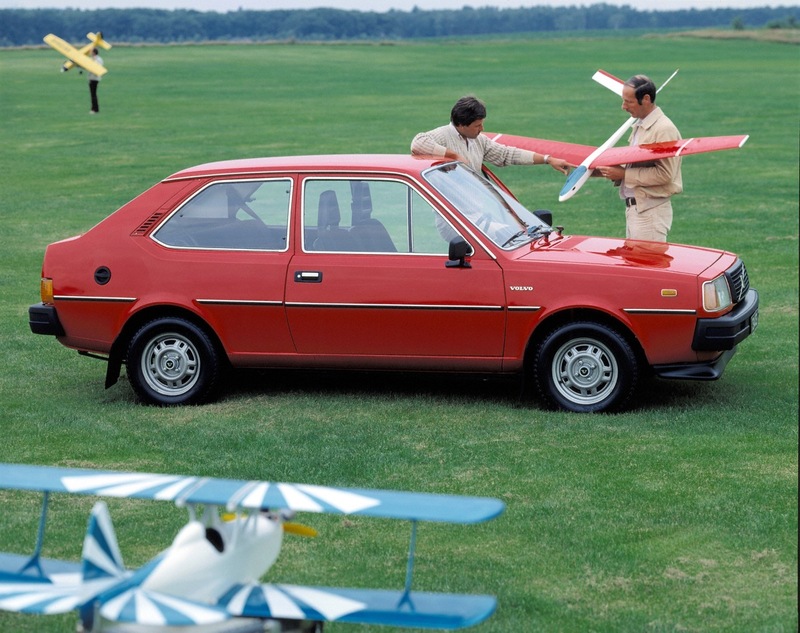 Production increased reaching a maximum of 116,000 in 1986, and still none to the US! As production progressed more engine options were introduced. 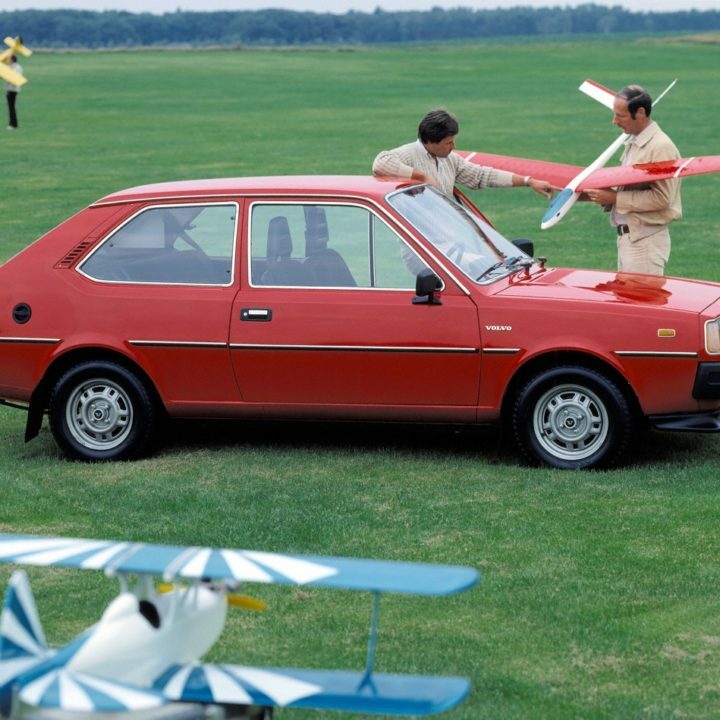 From 1975 to 1979 there was only the 1.4 litre but in 1980 a 2.0 litre was added folowed by a 1.6 litre diesel in 1985 and a 1.7 litre petrol in 1986. In March 1991 production ceased. 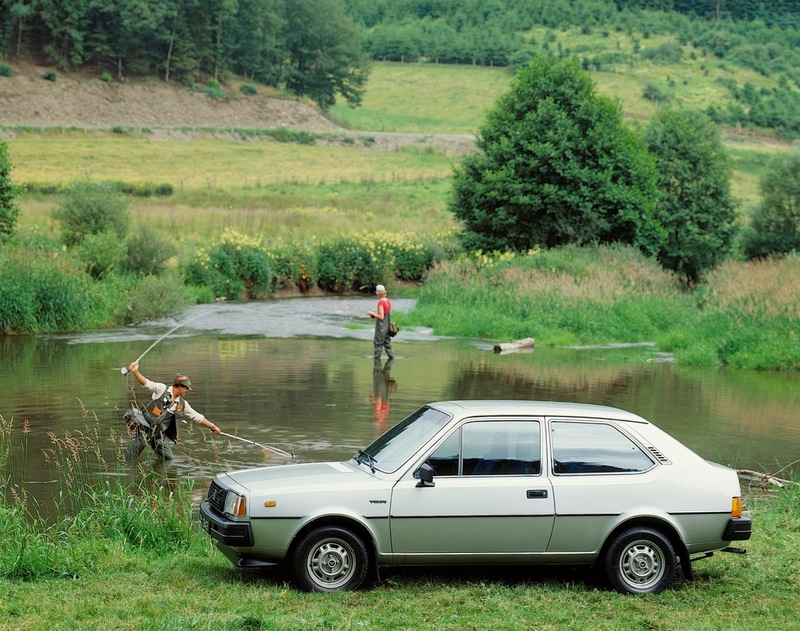 Many journalists in motoring magazines sneered at the 340. It was often referred to as “a parts-bin model, driven by ditherers”. As the 340 came at or near the top of its class in reliability and safety surveys, these journalists’ priorities could be questioned. Owners were wiser. They enjoyed a well-built, highly practical car which was one of the sturdiest in the small-medium class and gave the impression of a much larger car, which was strengthened by the ease of getting into the high-mounted seat, from which the driver enjoyed a commanding view and felt like he was king of the road. He most certainly was king of the car park, as the 9.2m turning circle allowed an easy manoeuvre into the most awkward space. The brakes were featherlight and instant but the steering wasn’t light. The car couldn’t be thrown around like a sports car and the suspension was harder than average. These were positive and valuable reminders that the driver was in charge of the car on the public road and not in a cocooned dream watching the scenery pass. 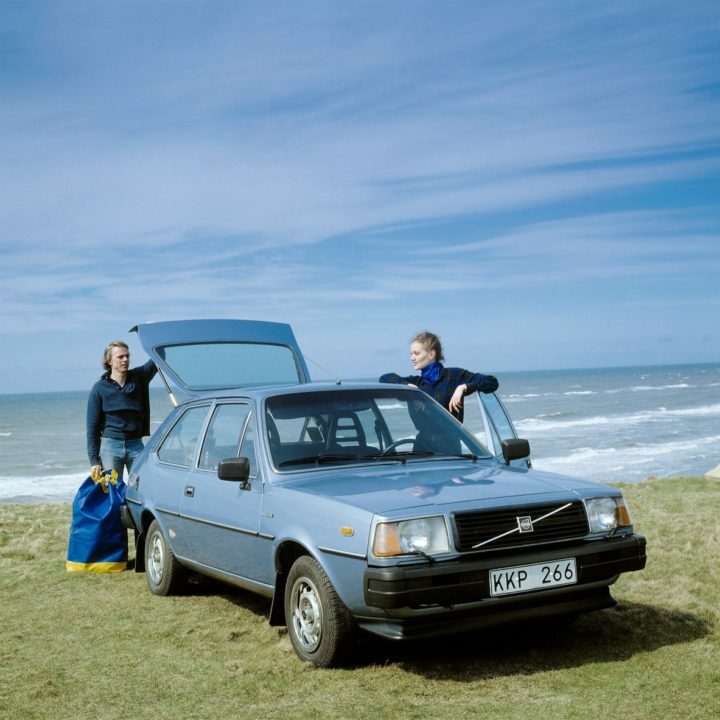 There is still a strong support for these “real drivers’ cars” today and there is a forum devoted to them at: http://www.volvo300mania.com/forum-uk/. You will find plenty of photographs too.